To survive and thrive in the world of modern manufacturing, companies need to overhaul their business operations to incorporate the same standard of technology now common on the shop floor. But these efforts are rarely, if ever, easy. 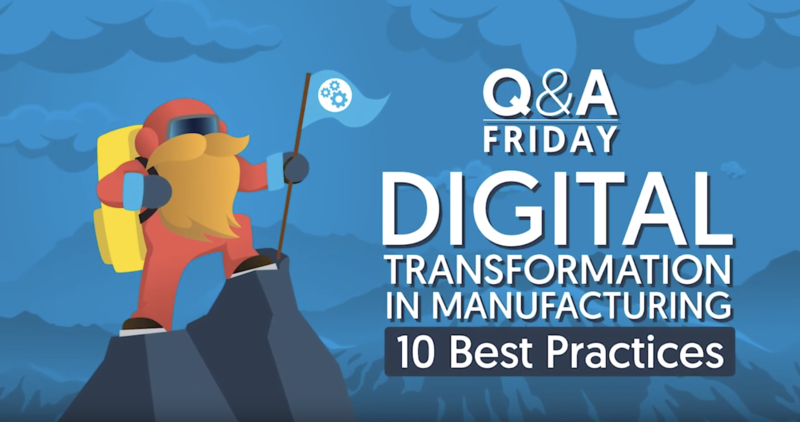 In this episode of our Q&A Friday series, we walk through 10 factors to consider when undertaking any digital transformation project. This episode launches a 12-part mini-series during which we’ll talk through each of our 10 Best Practices for Digital Transformation. Jessica: Hi, and thanks for joining us for another Q&A Friday, a regular series where we chat about issues facing manufacturing companies in the new world of industry 4.0. I'm Jessica Vodden, a team member here at Mountain Point, and today I'm joined by Andrew Rieser, our president and co-founder. Hey Andrew. Andrew: Hey Jess, how are you? Jessica: I'm doing great. Hey, so we're kinda kicking off a new series, where we are going to spend a few weeks talking about the concepts related to digital transformation. For those of you who follow our blog, we recently put out a ten-step guide to managing digital transformation projects. Got a lot of great feedback on that, and some questions, and people just kinda wanting more, and so, we thought we'd just break down each of the concepts in that guide over these interviews over the next couple of weeks and today, Andrew, I'd really like to start by getting an overall picture of what a digital transformation process looks like, some of the key factors that you need to keep in mind, and what that really means for your organization. So, kinda give me the 10,000-foot view of undertaking a modernization effort in your factory or your company. Andrew: Yeah, sure, so I think what's really interesting is in the world we live in, buzz words and themes always resonate and are all over the place and digital transformation is absolutely one of those, you probably can't open up your browser window and type in a technology or change management related search query without having digital transformation show up at least 50 times on your screen. So, the good news is that everybody is recognizing that change is inevitable, and organizations need to change not only their people and processes, but the technology and the encompassing data that surrounds all that, so that's what we think of when we think of digital transformation, it's not just digitizing the business, but it's taking those four pillars of people, process, technology, and data into consideration to get the whole business to kinda think differently and think about how they're going to sustain and operate for the coming decades. Jessica: Yeah, and I think one of the things that we highlight, and I actually saw a research article on this recently, was driving digital transformation. Obviously, you gain increased efficiency, and you can, you know, cut cost, and do more with less, but really, most companies that have recognized the value of this are making these changes with the customer in mind, right. It's really about the customer satisfaction and customer service goal. So can you talk a little bit about how some of these technology shifts are better supporting customer service? Andrew: Yeah, absolutely. So, I think you hit the nail on the head that all of these transformations are being driven by the expectations and the changing of those expectations of consumers and you can take a look at your everyday life and the services that you consume, everything, from Uber to Netflix to dealing with Amazon, and having same-day deliveries, or next-day delivery through services like that, so I think that in your consumer world, these types of things are tables stakes, and everybody has become accustomed to this service oriented, on-demand world of having information at your fingertips and mobile apps to kind of drive these needs that consumers expect and the business world just haven't kept up with that, so, I think that this kind of merging of B2B and B2C is now all kind of blending together to be one, where it's all about driving better value for your customer. Jessica: Absolutely. And so, like we said earlier, this goes beyond a technology upgrade because if you're really shifting the focus of your business and almost your business model, and adopting more of a B2C lens, that's a huge cultural shift, and that takes a lot of change management expertise. So, in our ten-step guide, we kind of walk through ten considerations, so I know this kind of is a lengthy question, but can you hit on those ten points that you think everybody should consider whenever undertaking that level of organizational change? Andrew: Yeah, sure, so I think that the ten steps that we outline are pretty much driven by what we experience in the projects that we do here at Mountain Point. And so it all kind of starts with that identifying a champion, so making sure that leadership understands that the value and the need for why the organization needs to change. And then we follow that up with really walking a mile in your customers' shoes, so, knowing those interactions, whether it be B2B or B2C, and how do you make those types of engagements with your customer and that customer's journey more valuable. 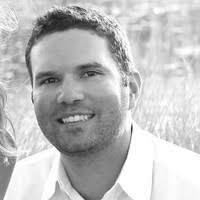 I think the next kind of piece that we like to uncover is how are you going to define success, so as a service's organization, and just organizations in general, I think there's been a poor job historically of measuring success and really ultimately defining what success looks like for an organization. So as you can imagine, a digital transformation is this massive thing that touches every aspect of the business, so how do you break that down into bite-sized chunks that you can actually show and measure those results. That also leads into establishing accountability and setting expectations for change, so, circling back to identifying the key stakeholders and having that top-down buy in from leadership, it's now how do you effectively communicate that vision and mission and the ripple effects that are inevitably going to take place within the organization. Everybody fears change, so how do you communicate and set those expectations effectively. And then also, I think that a lot of these industrial businesses have gotten stuck in the status quo, so how do you align and evaluate your business processes and really revisit them, so, "This is the way that we've always done it" mentality does not fit in well with digital transformation so it's really turning over every stone and identifying where you could be better as a business. The next item that we talk about is digging into your data, so, data is, and should be, an organization's most valuable asset. I think a lot of manufacturing, industrial-based companies put all that time and energy and value into the product, but what we're seeing more and more is that that's just only one component, so yes, having insights and information around your product and how your product evolves with the data behind your product is great, but there's plethora of other data points and data elements that make the business successful, so really diving into that and understanding how you're measuring your organization and leveraging data to be an asset, a driver, for your business. Then we start thinking about the systems that are involved too, so moving from a "System of Record" to a "System of Engagement." So, back to the descriptions that we were using previously about Uber, Amazon, and these consumer-based technologies, Systems of Engagement really help drive that, so cloud-based platforms with your CRM, your service, your marketing, those kind of things are ways you can engage with your customer in a more streamlined fashion and really provide value across the devices and systems that they're accustomed to using. I think as we move away from the process of the people side, now you're starting to get into talent and identifying how to plug in these key stakeholders within your organization, so, people and the talent of not only folks that are on the verge of retirement and leaving the organization, but how do you bring in the next crop of talent to help them facilitate this change. Jessica: Okay, awesome, we've managed to cover steps one through eight, really quickly, which is really taking a look at your entire organization, but this is a long-term project, right, so, I know steps nine and ten are really focusing on keeping that momentum rolling and moving for the long haul, so tell us how you go about not just launching this project, but making sure it's successful and it's implemented well. Andrew: Yeah, absolutely. So, I think the key is, again, kinda ties back to communication and that transparency within an organization, so being able to work in an agile fashion and continuously iterate and improve on the steps that you're putting in place, like we mentioned, digital transformations are massive and all-encompassing, so to have the expectation that just by doing one project is gonna solve all your problems is crazy talk. We need to re-level set the expectations of these initiatives and projects and treat them in that agile fashion where we set a goal and a series of metrics that we wanna measure and learn from those and continuously improve and keep pushing the metaphorical snowball up the mountain so that once you get to the top and it gains the momentum and speed that you're now iterating faster and faster and the value shifts are really showing and speaking for itself as you ultimately transform. Jessica: Awesome. Well Andrew I know that was a crash course in digital transformation and for those of you listening, if you're interested, definitely would encourage you to check out our ten-step guide if you haven't already. In the coming weeks, we're also gonna break down each of those steps, and have more thorough discussions around each one of them, so look for that, hope you'll thrive and follow along. And, if you have any questions, please hit us up on our social media channels, you can email us, you can call us, we're always looking for your feedback, we'd love to hear from you. Andrew, thanks again, and we'll talk again soon. Andrew: Sounds good, thanks Jess.